Two of the books published by PRS are now available for download also on Itch.io! States of Play and Life Under Occupation are the first, but we’ll see if we can add others there as well. We recommend exploring Itch.io’s selection of other analog game publications as well. A lot of good stuff available! Do you want an all-paid, all-inclusive trip to Minsk, Belarus, to meet fellow larpers from around the world and network and play larps together with them? We at Pohjoismaisen roolipelaamisen seura are happy to announce that as part of the EU funded network Larpers of the World, we will select 3-4 participants from Finland to take part in the workshop. The theme of the upcoming workshop is “Empowerment through entertainment”. Participants will run larps based on scripts that are not written by the game master to analyse their structure with a template for larp design for a future larp script database. They will also work with community building and inclusion in larp. The program outline will be released closer to the workshop. The Larpers of the World network will cover your transport to and from Belarus, and to and from the airport in Finland. Food and sleeping arrangements in Belarus will also be taken care of. If you want to arrive before or stay longer (note that Belarus only issues 5 day visas via Minsk airport) – you will need to cover the cost on your own. -developing ways for working with community building to foster civic participation through larp. Young people (under 28) and minorities, as well as larpers from outside the Helsinki area are encouraged to apply. To apply, please write a short motivation letter (max. 1 page) in English and send it to kaisa.kangas@helsinki.fi latest on June 30th. Please write briefly about your history as a larper and a larp organizer and let us know why you want to attend the workshop. Also include your age, the region in which you live and any other details you feel could be important for us to know when making the selection of participants. 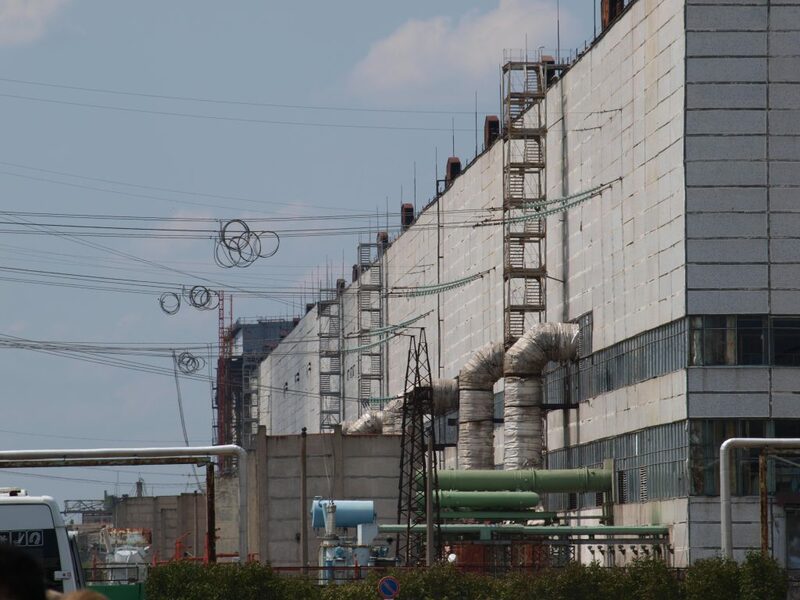 Chernobyl, Mon Amour: But Is It a Game? The designer of Chernobyl, Mon Amour Juhana Pettersson writes about the game now that an English version is in crowdfunding. Check the campaign here! And like the chumps we were, we believed all of it! In fact, we based much of our understanding of what roleplaying is on these statements. Character-based, with the play itself as the goal instead of competition or even rules-based challenge. My first roleplaying game was red box D&D. In high school I switched to Vampire: the Masquerade. For a long time, I thought that my roleplaying history was fairly average: I had played the most defining games of each era. However, travel, contact with people from other roleplaying scenes, online discussions and going to cons has led me to suspect that the way we started to play these American roleplaying games was fundamentally different from how they were intended to be played. For me, these statements about what roleplaying was supposed to be, often found early in a game book, were the definitive truth about the artform. Everything on the following pages, the rules, the mechanics, could be discarded if they conflicted with the vision of the game as a personal, character-based experience. I have come to suspect that for their designers, it wasn’t quite like this. Maybe for them, these statements were more a spice, a little extra to help the player to engage with the true substance of the game: The system. What I took to be the truth was actually just rhetoric. This illustrates the importance of play culture. Games are communicated through the text in a roleplaying game book, but also through the culture absorbed by playing with other people. Thus, I read the same book as people the world over, but my understanding of how that book should be used was shaped by the specific values of the scene I was in. What’s more, for years I didn’t really even grasp this, instead assuming that every scene played like we did. After all, we played the same games. The values implications of taking all that rhetoric seriously are immense. There’s a classic Forge slogan which says: System Matters. In a profound way, in my scene, System Doesn’t Matter. The game is created by the GM and the players, and the system is just a tool. The system is most emphatically not the totality of the game, and sometimes it can be used or ignored, depending on the needs of the moment. Another sign is when people start discarding experience points as a mechanic even if they use an established system. This is pretty common in my specific scene because XP perpetuates mechanics-based thinking instead of focusing from the character and the direct experience of the game. It becomes an impediment with little added value. Why Call It a Game? If the play is freeform-based, the characters don’t have stats and even challenge-style scenarios are not really about succeeding but rather just the experience and the excitement, why do I still call Chernobyl, Mon Amour a game? For me, the reasons have a lot to do with the roleplaying scene and my personal history. I love roleplaying game books and I’m something of a collector. I often use established games for raw materials when running my own campaign even if I rarely run anything straight out of the book. Despite stylistic differences, I feel strongly connected to the scene both in my small corner of the world and in a wider sense. 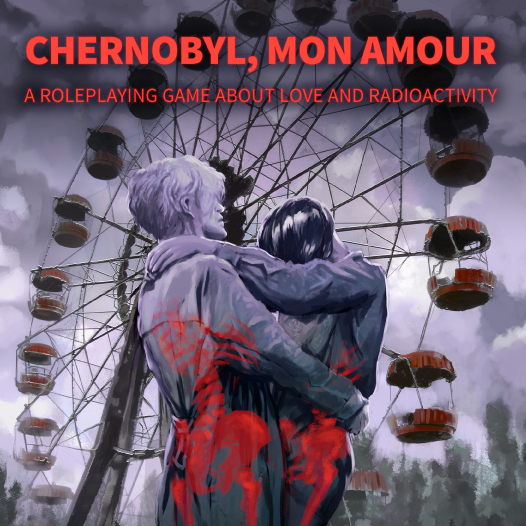 Despite it’s freeform nature, Chernobyl, Mon Amour is directly connected all the way back to my first experiences with D&D. Although the experience is different from many other published games, to me it’s still part of the same broad family of roleplaying games. Thus, for me the use of the word “game” is not about definitions or theory, but community and lineage. Without D&D and my roleplaying community, this book would not exist. Chernobyl, Mon Amour is a game about love and radioactivity. The great thing about love as subject matter is that it plays heavily to the strengths of tabletop games as a medium. Tabletop games are typically played indoors, for example in someone’s living room. The participants sit around a table or on sofas and chairs. They mostly narrate the events of the game verbally, describing what happens. When I run a game, sometimes people stand up and do some things physically, but there are severe limits to how much can be done like this. In a larp, I can run across a field waving a sword. In my living room, I can stand up and take another player aside for a quick chat, but not much more than that. Many roleplaying games have mechanics for things like combat. This makes sense: We can’t do combat for real in our living rooms, so it must be done with a different method. Rules mechanics make it interesting. However, the one thing we can do really well in a tabletop game is talking. We don’t need a mechanic to talk because we can talk for real. A lot of actual, real life romance consists of talking. This is the way you play romantic scenes in Chernobyl, Mon Amour as well. You can narrate details about action and the environment (“We climb to the roof of the building and sit down to watch the sunset.”) and talk out the social side pretty much the same way you’d do in reality. For example, if two characters are on a first date, you can talk for fifteen or twenty minutes as your characters, almost as if you were in a larp. You don’t need a system for this because you already know how to do it. In my experience, people can vary between speaking as their characters and narrating their actions and thoughts in a very fluid way. You can talk as your character, then explain her thoughts to the other participants to give them context, then go back to speaking as your character. Sometimes scenes can be difficult to play, but the format of a tabletop roleplaying game is pretty forgiving in this regard. If another character suddenly declares his love and you feel your character should have a ready reply, you can take a moment to think about it as a player before you go back to speaking as your character. Another way to use this flexibility is to skip boring parts. It’s important here to grasp that these social scenes are principally not challenges. They’re not about who will succeed. You as the player don’t need to pummel anyone with your charisma. Rather, in these social scenes the point is to experience life through the lens of your character, feel the emotions in each moment and discover the nuance and wonder of small things. This presents the player of the other character with a bunch of different options on how to respond, but nothing about this is related to “success” or “losing”. The other player character can be supportive or jealous, curious or distracted. The point of the scene is to explore these little details and how they affect the relationship between these two characters. Especially when it comes to the theme of love, these types of social scenes form the backbone of Chernobyl, Mon Amour. They’re also the reason why the game is extremely light in terms of system: Because they can be played out almost for real, they don’t need system support. My experience suggests that these types of scenes are very emergent, often veering into surprising directions depending on the particular mix of emotions present. What started as an argument can turn into a love scene and the other way around. They also take time. In my view, they work best if they’re taken as themselves without focusing too much on broader narrative context. After all, the characters are not living a story but their lives, the same as the players are doing. 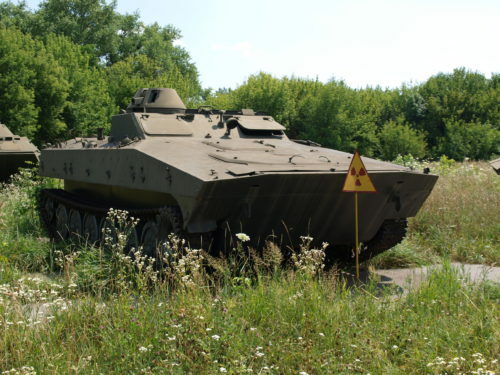 I visited Chernobyl in 2010 with my wife and a few friends. There’s a number of agencies in the Ukraine organizing tours to the restricted Zone of Alienation, so it’s not hard to do so. The key was to arrange everything in advance so that the agency can get the appropriate permits. In our case, we started as a part of a larger group that drove to the Chernobyl area from Kyiv. It didn’t take very long, an hour if I remember right. It felt strange that it could be so easy. Chernobyl is a mythical place. The accident is part of the canon of 20th century history, a catastrophe with worldwide effect. The Zone of Alienation has a fascination that’s made it the location of movies and videogames. 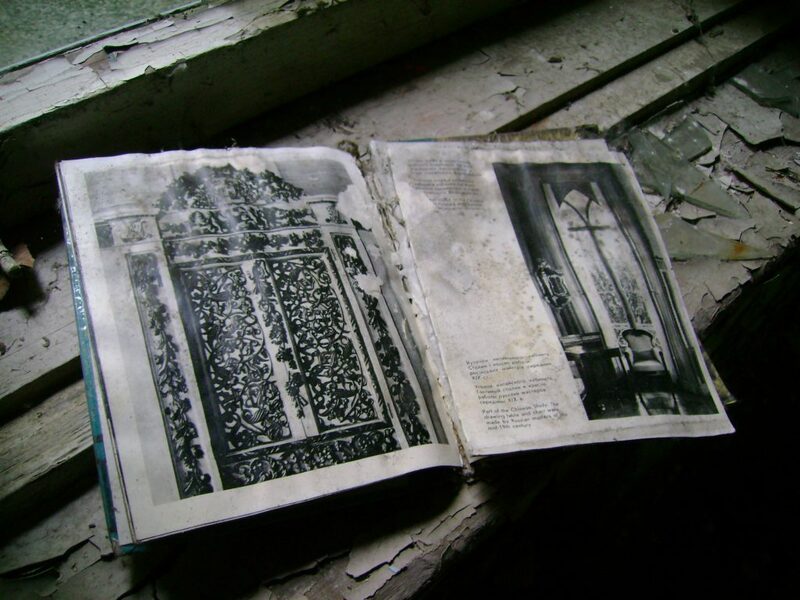 There’s many photo books documenting its ruins. All this was also the reason I wanted to go there. Chernobyl is a legendary locus of human folly, reachable by minibus. In the Chernobyl, Mon Amour roleplaying game, a society of criminals lives in the Zone of Alienation. In reality, the borders of the Zone are more porous than in the game, especially if you’re a local. Legally only the people who work in the Zone are allowed to live there but some people do it anyway. There’s a community of old residents who didn’t adjust to their new lives when they were evacuated after the accident in 1986. Now quite elderly, they live in their old houses, their children sneaking in from the outside to bring them food and supplies. Others sneak into the Zone illegally to explore it. This is something akin to urban exploration, even if it happens in forests and fields of grass. Their mark can be seen in many places as graffiti or strange, unsettling pieces of environmental art. If someone has left a doll’s head in a pram in the center of a field, it’s probably these folks. As tourists, we didn’t see these people at all. 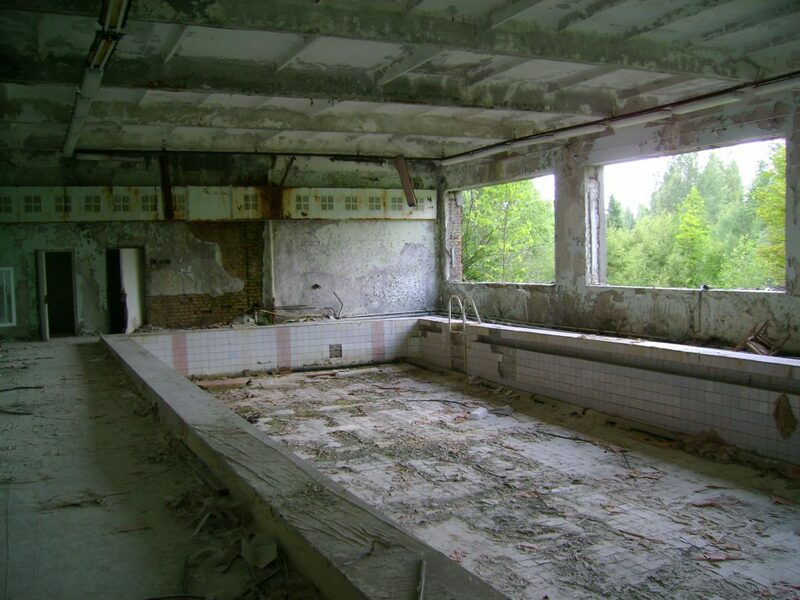 We did spend a night in Hotel Chernobyl, the only hotel in the Zone of Alienation. We were the only residents. It was in a small town where all the pipes were built above ground because you couldn’t dig into the earth to avoid releasing nuclear particles settled into the dirt. We visited a shop for the workers who spend three weeks in the Zone and one week on vacation every month. The shop sold booze, Pringles and not much else. Alcohol is forbidden in the Zone but it didn’t seem the rule was enforced very seriously. We spent the first day as part of a larger group and the second with just us and a guide. The guide was pretty relaxed, preferring to watch tv in the car while we explored dangerous radioactive ruins. He told us where to go and what to avoid and most times that was it. The upside of this method was that it was possible to stop to appreciate the natural beauty of the Zone. It was a posthuman space in the sense that while it was unhealthy for humans(fbi raids and indictments at phony rehab clinic empire), nature flourished. Turns out that from the perspective of animals and plants, humanity is a significantly worse problem than radiation. The experience was eerie because nothing in pop culture really prepared us for it. Mad Max preaches the gospel of a radioactive wasteland, but this was something else entirely. Radioactivity is invisible and that added to the Zone’s mythical quality. None of the worst dangers could really be perceived, so it was just a question of faith. We knew that metal was dangerous to we avoided touching it, but our guide ate berries straight from bushes even though we’d been told they were radioactive. The radioactive particles settle in the ground and are drawn up along with ordinary nutrients by plants. They then concentrate in whatever the plant builds most actively, such as berries. This is also why a forest fire is extremely dangerous in a radioactive area: Tree trunks hold a lot of radioactive particles drawn from the soil over the years. I recommend visiting the Zone because so much of what we understand about a post-apocalyptic world comes from genre fiction. It was very compelling to experience an actual post-apocalyptic environment. Turns out cockroaches die without a human environment and are even less resistant to radiation than humans. The bugs who really thrive are the butterflies. They will fly over the fields long after the radiation levels have made an area lethal to us. My friend Janos Honkonen was also on the trip and wrote about his experiences extensively here. 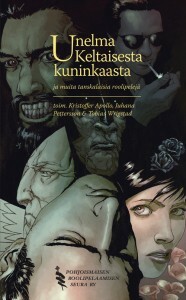 Maria Pettersson’s account of the experience is in Finnish, available here. 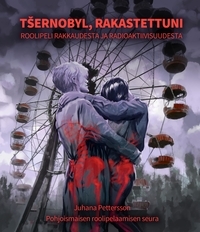 The roleplaying game Tsernobyl, rakastettuni by Juhana Pettersson is now getting an English version! Chernobyl, Mon Amour is on Indiegogo here. Check it out and back it! Would you like to spend a weekend in the world of Harry Potter? 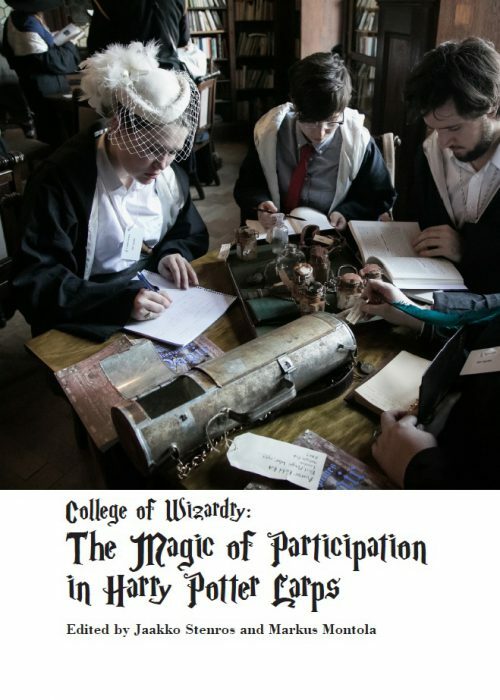 College of Wizardry: The Magic of Participation in Harry Potter Larps documents the beginning of the popular larp series, where participants live and study for three days in the Czocha College of Witchcraft and Wizardry. What is it like to study at a magic school? How is spellcasting best taught today? How is it possible to design, simulate, and enact an enchanted world that feel reals through co-creation and trust? In The Magic of Participation, two dozen player accounts and a cornucopia of images open up the experiences from the first three runs of the larp. Special sections are devoted to addressing player experience, analysis of larp design, and the practice of teaching magic. 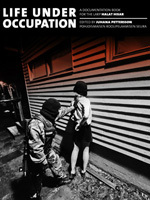 The book is edited by larp scholars Jaakko Stenros and Markus Montola. Magic of Participation is published as a free pdf from Pohjoismaisen roolipelaamisen seura. A printed version will be available soon. Tšernobyl, rakastettuni on Juhana Petterssonin uusi roolipeli, joka julkaistaan Ropeconissa tämän kuun lopussa! Tšernobyl, rakastettuni on roolipeli rakkaudesta ja radioaktiivisuudesta. Hahmot ovat rikollisia, jotka pakenevat esivaltaa Tšernobylin Suljetulle vyöhykkeelle. Vyöhykkeellä he rakentavat itselleen uutta elämää, rakastuvat ja tulevat sinuiksi atomin kanssa. Ulkomaailmaan ei ole enää paluuta. Peli keskittyy voimakkaasti sosiaalisiin tilanteisiin. Pääosassa on hahmojen luonne ja persoona ja Vyöhykkeen eri yhteisöt. Tilanteet menevät ensitreffeistä Vyöhykkeen kummallisiin rituaaleihin. Pelisysteemin kannalta Tšernobyl, rakastettuni on erittäin kevyt. Koska pääosassa on vapaamuotoinen pelaaminen, systeemi ei saa olla tiellä. Kirja sisältää kaiken mitä pelinjohtaja tai pelaaja tarvitsee pelatakseen radioaktiiviselle Vyöhykkeelle karanneen henkipaton rakkauselämää. Mukana on Vyöhykkeen ja sen asukkaiden esittely, oppaat pelaajalle ja pelinjohtajalle, ja kaikki alueen eri yhteisöistä aina Strontiumsusista Atominkieltäjiin. Tšernobyl, rakastettuni on pelisuunnittelija Juhana Petterssonin toinen roolipeli. 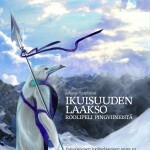 Ensimmäinen oli vuonna 2009 ilmestynyt Ikuisuuden laakso, jossa traagiset pingviinisankarit puolustavat yhteisöjä jotka eivät voi koskaan hyväksyä heitä. Tšernobyl, rakastettuni on Juhana Petterssonin uusi roolipeli, joka ilmestyy kuukauden päästä Ropeconissa. Tšernobyl, rakastettuni on peli, jossa rakastutaan. Pelin kuluessa hahmot ihastuvat, rakastuvat, kohtaavat vastoinkäymisiä, mutta saavat lopussa toisensa. Rakkaus tapahtuu radioaktiivisessa erämaassa, ja sen toteutuminen on niin pelaajien kuin pelinjohtajankin vastuulla. Suljetun vyöhykkeen asukkaat ovat rikollisia, joilla ei ole varaa tuomita toisiaan. Jotkut heistä ovat valmiita toistamaan virheensä. Toiset, kuten pelaajahahmot, haluavat aloittaa alusta puhtaalta pöydältä. He saapuvat Vyöhykkeelle vapaina entisen elämänsä rasitteista ja ennakko-odotuksista, valmiina kohtaamaan rakkauden. Suljettu vyöhyke saattaa olla luonnonkaunis paratiisi, mutta ihmiselle se merkitsee kuolemaa. Vyöhykkeen asukkaat eivät elättele kuvitelmia siitä, että heillä olisi tulevaisuus. He elävät tässä hetkessä, onnellisina saamastaan toisesta mahdollisuudesta ja siitä, ettei syöpä ole ainakaan vielä korjannut heitä omakseen. Heidän rakkautensa on rakkautta kuoleman varjossa,Uudet nettikasinot. Täytyy rakastaa nyt, koska huomista ei ehkä tule. Pelillä on Facebook-sivu, jota voi käydä likettämässä. Vuoden peliteko -palkinto on myönnetty Voimavirtaa larppauksesta -projektin pelisuunnittelija Milla Impolalle. Impola suunnitteli ja kirjoitti larpin vaikeasti vammaisille kesällä 2013. Pelin tuotti Malike – matkalle, liikkeelle, keskelle elämää. Pelissä vaikeavammaiset larppaajat ja heidän avustajansa ovat Peikkolinnan heimo, jonka täytyy vallata kotinsa takaisin. Pelin keskeisimpiä hahmoja pelasivat juuri vaikeavammaiset pelaajat. Avustajat pelasivat erilaisia tukihahmoja, kuten oppipoikia tai -tyttöjä. Palkinto myönnettiin pelin suunnittelijalle Milla Impolalle, mutta kuten larpeissa melkein aina, tuotannon takana on isompi joukko ihmisiä. “Idea tuli Malikelta, ja kun mä kuulin siitä, innostuin heti”, Impola sanoo. Impola itse päätyi larppien pariin teatteriharrastuksen ja draamapelien kautta. Hän on tehnyt lastenteatteria ja järjestänyt lapsille murhamysteeripelejä. Tämä oli hänen ensimmäinen larppinsa aikuisille. Larpissa oli Impolan mukaan hyvää se, että vaikavammaiset pelaajat ja heidän avustajansa ja perheenjäsenensä pääsivät osallistumaan ja tekemään yhdessä. “Ajattelin, että tämä voisi olla hyvä muillekin jotka tarvitsevat avustajia, kuten sokeille”, Impola sanoo. Vuoden peliteko -palkinto myönnetään ansiokkaasta projektista, toiminnasta, julkaisusta tai muusta tempauksesta ei-digitaalisten pelien saralla. Palkinto jaetaan tänä vuonna ensimmäistä kertaa. Palkinnon takana on Pohjois-Euroopan suurin itsenäinen roolipelitapahtuma Ropecon sekä pelikulttuurin edistämiseen keskittyvä Pohjoismaisen roolipelaamisen seura. Palkinnosta päättää raati, joka koostuu tuunetuista pelikentän toimijoista. Tänä vuonna raadin puheenjohtajana toimi Pohjoismaisen roolipelaamisen seuran toiminnanjohtaja Juhana Pettersson. Lisäksi raadissa istui Helsingin Sanomien toimittaja Jussi Ahlroth, larppisuunnittelija Mikko Heimola, yksi Ropecon 2014:n pääjärjestäjistä Emi Maeda sekä roolipelisuunnittelija ja kirjailija Ville Vuorela. “Mulle roolipelien ja larpin kyky parantaa ihmisten elämää on aina ollut uskonkappale, mutta Maliken ja Impolan projektissa sen näkee käytännössä “, Pettersson sanoo. 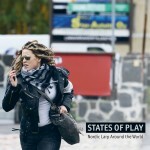 A larp by Kaisa Kangas, available for free download here. Download the book for free here. Download the book for free here. 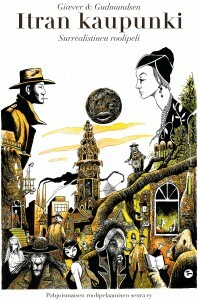 Buy a copy at Fantasiapelit. Myynnissä Fantasiapeleissä. Osta e-kirja Elisalta. Copyright © 2019 Pohjoismaisen roolipelaamisen seura. Powered by WordPress. Designed by myThem.es.